Highland 2017 from Outreach Outdoors on Vimeo. Welcome to Highland Hideaway Hunting’s Winter Online Store! The online store will now be open until 11.20.17! These items are not currently in stock but begin production once the online store closes. For that reason, no late orders will be accepted. All items will either be delivered to the coordinator at Highland Hideaway on approximately 12.14.17. or shipped via UPS (if customer elected) at that time. Items are subject to cancellation if minimums are not met. 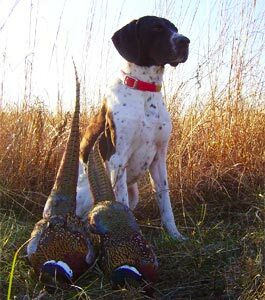 Highland Hideaway Hunting is a family owned operation located in southeast Iowa. We have been in operation for 17 years, and we strive to provide our guests the highest quality upland hunting experience on 1500 acres of meticulously managed habitat, with top of the line accommodations. Our sporting clay shooting complex offers seasonal open shooting hours, along with accommodating private small and large group shooting events. Provide excellent customer service to clients and guests. This may include answering phones, booking hunts and events, greeting customers, and ensuring guests are enjoying their stay and experience. Strong communication and relationship building skills. Knowledge of state, and federal hunting regulations. Ability to conduct day to day farm work, including: animal husbandry of gamebird operation, maintain records, and prepare reports as needed. 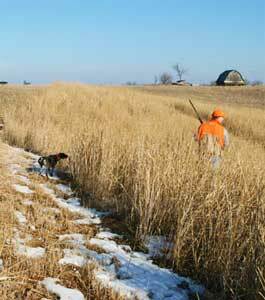 Manage the hunting fields, prepping fields for hunters. Assist in the process of processing harvested birds. Assist in the management of wildlife habitat, which may include: mowing, custom seeding, food plots, maintain brush, prescribed burning etc. Maintenance of buildings, keeping them clean, organized and in good repair. Shooting sport experience, or willing to learn. Tasks will be assist with setting up course for private or public events, maintain equipment and manage other team members on course. Maintain vehicles, equipment and tools. Assist in food prep, cooking, serving, and cleaning. Work alongside and encourage teamwork and strong work ethic among all team members. Prior experience a plus, but will train. Passion for hunting industry, willing to learn, strong work ethic, and ability to think outside the box. Special Requirements: Position will require working evenings and weekends, but schedule can be flexible. Valid driver’s license. May also require use of personal vehicle for official business. Position is offered through March 31st, 2018 with possible extension. Position has opportunity to grow depending on the most qualified candidate. Compensation: Starting Salary $14.00/hour, with possible overtime during peak season. Paid accrued vacation and sick leave, paid holidays, and paid cell-phone expense. Application Process: To apply, submit a cover letter, resume, and three references via email or mail to: Ryan Giannini, Highland Hunting LLC, 3127 160th St. Riverside, IA 52327 huntinfo@highlandhunting.com. Any questions please contact Ryan Giannini at huntinfo@highlandhunting.com or 319-330-6165.